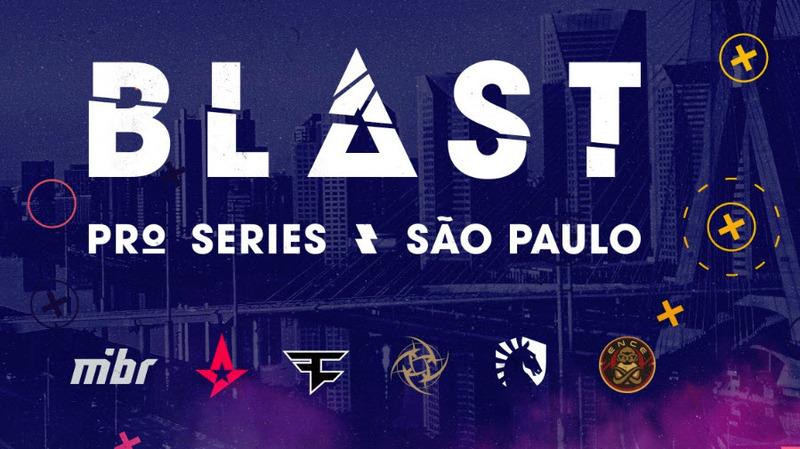 The first BLAST Pro Sao Paulo event of 2019 ended after two days of intense battle with Astralis defeating all of its opponents becoming BLAST Pro Sao Paulo Champions. Before the first BLAST Pro tournament in 2019, everyone considered Astralis to be the absolute favorite for winning the title. Nevertheless, they still managed to impress CS:GO community including analysts and commentators. When teams picked maps, there were four Dust 2 and one Overpass match for the Danish team. So, Astralis had to play on maps they don’t feel so comfortable on. Still, they prevailed in all matches. The first match was between Astralis and Team Liquid. North American team secured opening six rounds. However, Danes stayed calm and slowly caught up Team Liquid. The match could go either way, but Astralis won the crucial 27th round to set the score on 14-13. Astralis won the remaining two rounds and kicked off BLAST Pro Sao Paulo in a great manner beating their biggest rival at the moment. 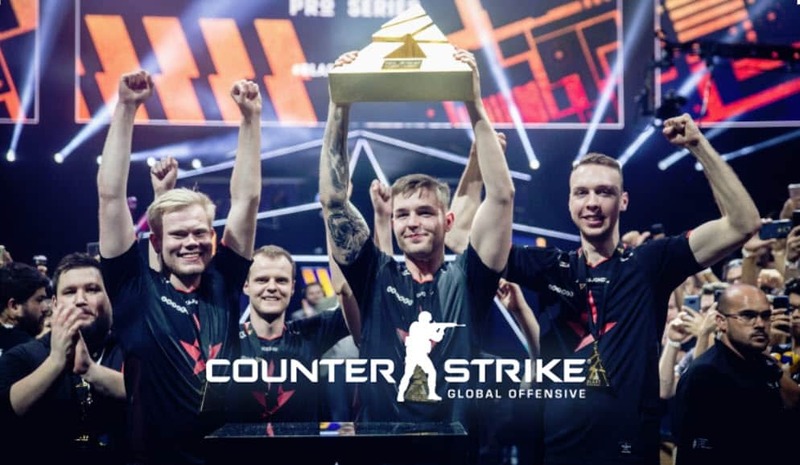 Astralis’ next opponent was IEM Katowice 2019 vice-champion, ENCE. Fiennes came in the match with the wish to get the revenge for a loss in the Major final. Astralis won the first half (10-5) and the pistol round of second half. Anyway, ENCE bounced back and at one point they were leading 13-12. It looked like Astralis was going to choke after huge lead. But they won four of last five rounds to secure the second win. At the beginning of the second day, Astralis had to face a domestic team in the third round. As MiBR lost the first two games, Astralis had a chance to knock out the Brazilian team. Therefore, the crowd in Ginásio do Ibirapuera venue rooted for MiBR even louder. The game took place on Overpass, the worst MiBR’s map. Astralis played brilliantly firmly holding two sites. MiBR tried everything, but their efforts were in vain. Gla1ve managed to hold Fountain completely on his own. As a result, gla1ve had two 3K in the match. The first time was in the 5th round when he denied MiBR’s attack with AUG.
Astralis went on 10 rounds winning streak and secured 11 match points. Fer from MiBR played a Lurker, and succeed in flanking Astralis a few times. Consequently, MiBR then managed to reduce the big gap a little bit, saving six match points. But, it was just a matter of time before Astralis won the 16th round and eliminate MiBR. Astralis then faced Ninjas in Pyjamas, another team that lost to Danish team at Major. Astralis again was the dominant team in the first half. The score on half-time was 11-4 in Astralis’ favor. Then, Danes won opening two rounds in the second half to set the score on 13-4. It was a one-sided match and Astralis members had excellent individual performance. Magisk and dev1ce were particularly good. Astralis’ AWPer (dev1ce) had two Aces in the match. The first one came in the 14th round when he denied NiP’s attack through Catwalk with his AWP. As the commentator said, it looked like dev1ce was playing Deathmatch. However, NiP didn’t give up and they reduced the Astralis’ lead winning six rounds in a row. But, Astralis managed to put the game to bed. In the last round, dev1ce won 1v3 clutch Ace to finish the game with scoreline 16-12. In the last round, Astralis played against FaZe Clan with no pressure as they secured the spot in the Grand Final. FaZe was actually the first team that was dominant in the first half against Astralis. Nonetheless, Astralis wanted to finish the Group Stage with 5-0 so hard. Therefore, they gave their best to win the last rounds versus FaZe, and eventually accomplished that task. Among other results, the most interesting was MiBR’s terrible run on home soil. MiBR seriously underperformed at BLAST Pro Sao Paulo failing to win a single map. Moreover, they weren’t even close to winning a map. The closest they got to clinching at least one point was in the match against FaZe when they secured the first half with the score 9-6. Later, they lost that match 16-11. Also, MiBR lost to ENCE (16-9), Team Liquid (16-2), Astralis (16-10), and NiP (16-13). They didn’t even manage to win a single aim duel in Pro Standoff showmatch versus ENCE. After four rounds played, ENCE and Team Liquid faced each other in a match of the decision. The winner of the match was going to play the Grand Final against Astralis. As Team Liquid had a better round difference, they needed just a draw, while ENCE needed the victory. In the 29th round, ENCE secured the match points first but failed to convert it to victory. Team Liquid won the last round, so NA team proceeded to Grand Final, and ENCE played a Pro Standoff showmatch. Fiennes could choose their opponent and they decided to play MiBR. So, the domestic team had another chance to improve overall impression, but as said, they failed miserably. We witnessed some funny moments and incredible plays. In the end, ENCE took home a $20,000 bonus. After all was set and done, Astralis topped the group with 15 points, followed by Team Liquid and ENCE with 10 points, NiP with 6 points, FaZe with 3 and MiBR with zero points. After failing to reach Major final, Team Liquid somehow made it to final of BLAST Pro Sao Paulo. So, they had a chance to beat Astralis for the second time this year and prove that their win in iBUYPOWER Master IV final wasn’t accidental. During map selection, the crowd in venue booed gla1ve who was picking and baning maps on Astralis’ behalf. But, instead of getting nervous and angry, he was smiling and asking the crowd for an even louder reaction. The first leg took place on Dust 2. Astralis didn’t perform the best on CT side. They had so many problems caused by Team Liquid’s great game. But, when teams switched sides, Danes started playing much better. Eventually, they were leading 13-10 after 26 rounds. Considering the quality of BLAST Pro Sao Paulo Champions, it should’ve been sufficient advantage for them. However, Team Liquid was playing the game, too. North American team didn’t throw the towel in. Firstly, Liquid tied the score, and then they won another three rounds to secure their pick, Dust 2. The next map was Inferno, Astralis’ second best map. Alongside Nuke, it is the safe bet that Astralis is going to win Inferno. After the first third of the leg (10 rounds), the number alongside Team Liquid’s name on the scoreboard was 0. They were humiliated by Astralis on Inferno as any other team that faces Astralis there. Anyway, it wasn’t that easy job as score shows. Every round was pretty close, and Astralis really had to fight for each point. The big lead started melting and suddenly, the score was 11-7. Apparently, Astralis started feeling the pressure, and things could easily go wrong for them. Regardless, they stayed calm once again and finished the game in a convincing manner. The ending score was 16-8. Gla1ve needed a lot of time to choose between Overpass and Mirage as a map of the decision. He consulted with the coach Zonic about that. Finally, they chose Overpass, and it turned out to be a winning decision. Before the final leg started, commentators and analysts expected another close leg between two giants. They predicted the score to be 16-12 or 16-13. But, BLAST Pro Sao Paulo Champions proved them wrong. Team Liquid barely won two rounds during the whole leg. It was quite a disappointing performance shown by Team Liquid. They failed to finish the job and beat Astralis once again. As a result, Astralis clinched their third BLAST Pro Series trophy and $125,000. Team Liquid took $50,000 USD. Dev1ce also said that Astralis won’t compete at IEM Sydney because of his physical condition. As he says, his body cannot cope such a long flights so well. Therefore, they will miss that tournament and play at BLAST Pro Miami.